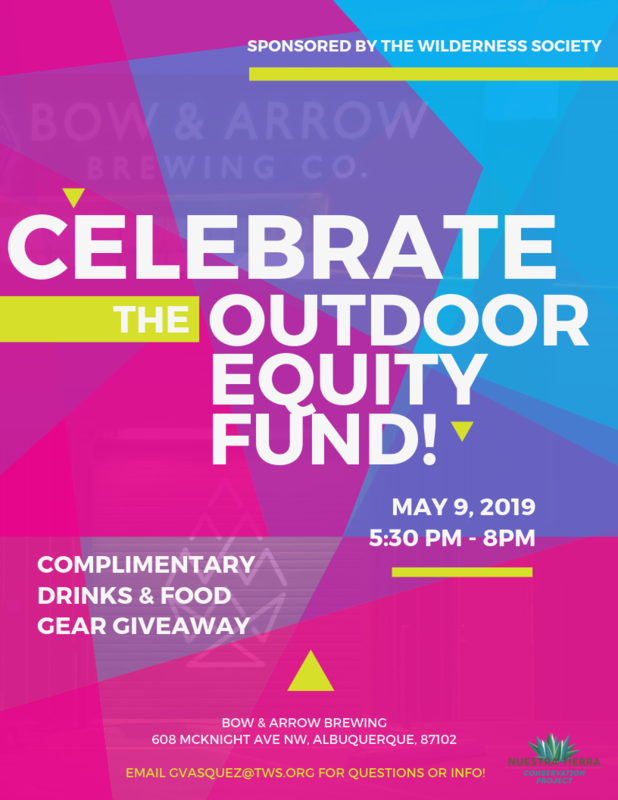 During the upcoming NM Legislative Session, we’ll be joining partner organizations and lawmakers to fight for the Outdoor Equity Fund. Stay engaged for more information. Youth from Deming, New Mexico, will get a unique opportunity to explore a live archaeological site in the Gila National Forest with the friendly experts at Archaeology Southwest. We're going rafting! Well, more like floating, but it's going to be pretty awesome either way. On June 1, we'll be taking youth from the Juvenile Community Corrections program at Families & Youth Inc. on a 2-hour float down our beautiful Rio Bravo. Join us for a morning hike to celebrate el Dia de Nuestra Tierra Madre at Kilbourne Hole in the Organ Mountains-Desert Peaks National Monument. The Chihuahuan Desert is full of dramatic geologic formations and sites that hold the secrets to the landscapes as we see them today. After the hike, join us for food and drinks at the Spotted Dog! Click the event to learn more. As part of our partnership with the Juvenile Community Corrections (JCC) Program/Families & Youth Inc., Nuestra Tierra guides will take local youth out to a cultural site in the Organ Mountains-Desert Peaks National Monument for a self-reflective, culturally conscious exploration of the Robledo Mountains. Join Nuestra Tierra for a guided hike to Valles Canyon, a spiritual and cultural site rich in Jornada Mogollon petroglyphs in the Organ Mountains Desert Peaks National Monument. Whether you are a hiker, angler, hunter, bird watcher, horseback rider, camper or just enjoy New Mexico’s beauty, our environment, national parks, monuments and forests, the New Mexico Wildlife Federation encourages you to come out the 2017 Public Lands Rally! Join us for a night of short films, people, stories, and ideas that celebrate indomitable spirit and inspire all of us to make the world a better place. Nuestra Tierra Youth get in for gratis! Youth from the Boys & Girls Club will participate in a guided hike through the Organ Mountains Desert Peaks National Monument. Instead of feeding the Black Friday Frenzy, join Friends of Organ Mountains – Desert Peaks, Latino Outdoors, and the New Mexico Wildlife Federation for a hike in the Organ Mountains! If you’re not familiar with Soledad Canyon, meet us at 9:30 a.m. in front of Milagro Coffee Shop at 1733 E. University Ave. We will caravan from there to our hike, which is less than ten minutes away. This is a family friendly hike with free BURRITOS DE BARBACOA, hot chocolate, and cookies! All are welcome. Hope to see you there!